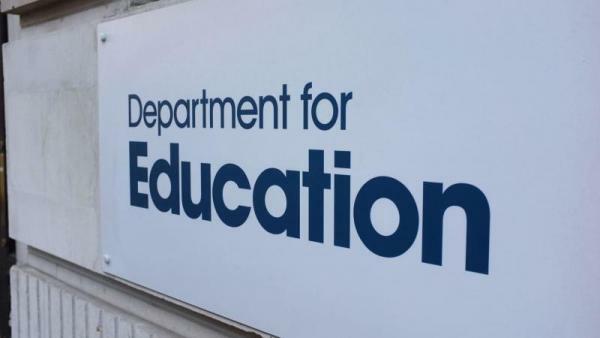 The aftermath of the general election saw several top jobs in education change hands, but what hope does a revamped department give for the future? to stop wasting money on fat salaries for leaders and CEOs and funding new schools only for them to close. Well, having two out of three wishes granted leaves me wondering if there is a fairy godmother after all! With increasing concerns being voiced from Conservative shires, as well as Labour and the Liberal Democrats, the planned revision of the common funding formula for schools was looking like a shaky platform as the election approached. By the time polling day arrived, the Conservatives had promised to significantly amend their funding formula plans so that no school would have its budget cut as a result of the new formula. The overall schools budget would increase by £4 billion by 2022. While the already delayed National Funding Formula will go ahead, it is currently hard to predict its final form – and whether this new money is actually new money or a magician’s illusion. There are marginal changes. Despite a pre-election promise to end universal free school meals for infants, the weakened administration has rowed back on this and current DfE spending plans are in place until at least 2018. The departure of Nick Timothy, the prime minister’s erstwhile special adviser, has carried with it the party’s commitment to re-introducing grammar schools. With opposition from both without and within, this is almost certainly not coming back. To the government’s surprise, opposition came not just from Labour and Liberal Democrat areas but also from Conservative counties, where convention suggested that grammar schools would be considered a good thing. When the smoke of battle cleared, many were surprised to find that Justine Greening, expected to pay for her less-than-lukewarm support for grammar schools, had in fact survived as education secretary. Greening was one of the bright young women elected to parliament as MP for Putney in 2005, at the age of 36. At that time, she was the youngest Conservative female MP. Six months later she was appointed a vice-chair of the Conservative party, with responsibility for youth. Her rise through the ranks has been steady, but appointment to the biggest job in education received a guarded welcome from the profession. Here, a last, was a Conservative secretary of state for education who did not attend an independent school but is actually the product of a comprehensive school (Oakwood, Rotherham). Neither did she study at Oxford like her predecessors but went to Southampton, where she studied economics and then gained an MBA from London Business School. While this does not mean that her policies will be influenced by her education, she has referred warmly to going to her local comprehensive. Had Nick Timothy sustained his influence in a strong Theresa May government, it is doubtful that Greening would have fared as well in a post-election reshuffle. A shake-up without a shift? Caroline Dineage, formerly the parliamentary under secretary of state for women, equalities and early years, has moved to the Department for Work and Pensions. She is replaced at the DfE by Ann Milton. Continuing in post are Jo Johnson as minister of state for universities and science, and lawyers Nick Gibb and Lord John Nash as minister of state for schools and academies minister respectively. If education watchers are hoping for a radical shift in policy, they are likely to be disappointed. Like her predecessor, Greening has invariably towed the government’s line in any vote. She has been a consistent supporter of academies and greater school autonomy and voted in favour of converting all primary and secondary schools in England to academies. She also voted against requiring state school teachers to have, or be working towards, qualified teacher status. The DfE is working to a single departmental plan laid down in 2015 and setting out policy to 2020. It was last reviewed a year ago, which suggests that a 2017 review is due. The plan has three key objectives. Educational excellence everywhere, focused on the government’s ‘ambitious plans’ for ongoing school improvement. Preparation for adult life, focused on ensuring that all 19 year olds have access to high quality work and study options. For school leaders, the main thrust of the plan is educational excellence everywhere. Under this heading lie such intentions as increasing the pace of academisation, forcing ‘coasting schools’ to accept new leadership and dealing with teacher recruitment and retention. While there are minor policy changes, we are unlikely to see either any general change of direction or departmental desire for variation. However, if there is any move to grant my third wish of ending disproportionately large CEO salaries and wasting money on new schools that then close, then we will all welcome that!